This Macy's deal on Carter's Onesies is by far one of the best I have seen! When you combine a coupon code with the already reduced price, you can pick these up as low as $1.60 each! 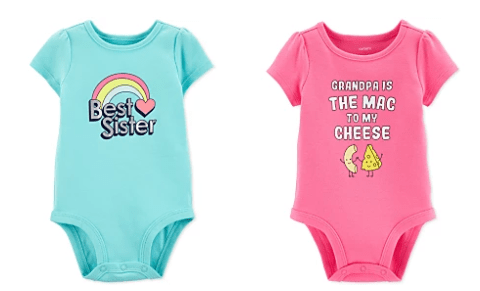 They are already at a great price reduced to $13 per pack, but if you really want to stock up for an upcoming baby shower or little ones arrival, consider this deal (because you can never have too many onesies!). Pay just $34 total or just $1.60 per onesie! Pay just $58 total or just $1.93 per onesie ~ shipped right to your home! Macy’s now offers free shipping on orders of $48 or more, OR get free in-store pickup. Love that! 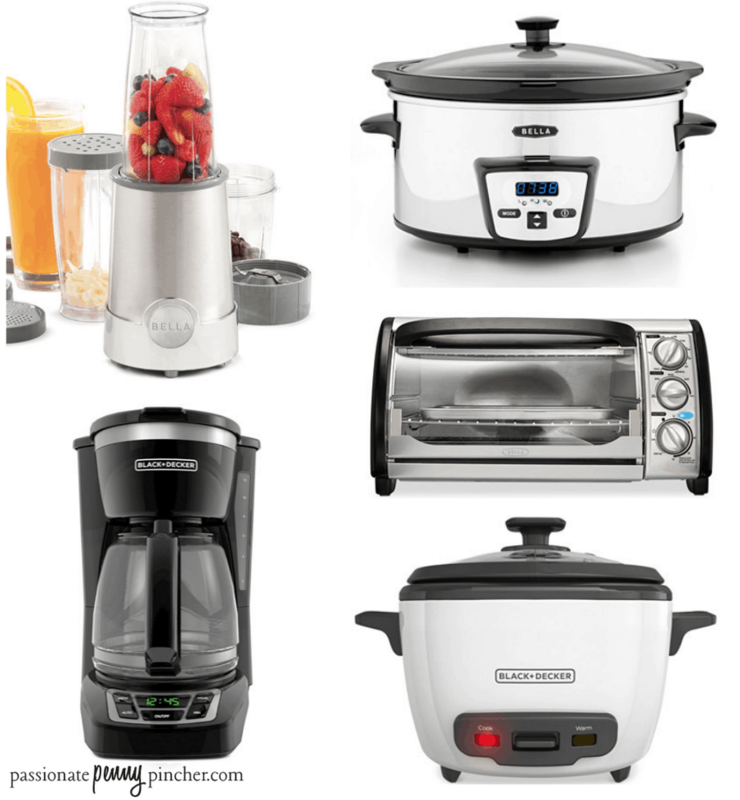 Check out all the Macy's Deals here! Head over to Macy's tonight to grab this amazing deal on 8 piece comforter sets – ANY SIZE just $29.99!! There are SO many options to choose from – even a kids set with owls that is so cute! These are regularly priced $100, so you're getting a fantastic savings. Once your cart hits $48, you'll also get free shipping, so maybe consider even getting 2 to hit that threshold (early Christmas shopping anyone?). Macy’s right now offers free shipping on orders of $48 or more, OR get free in-store pickup. Love that! Here’s another fun Macy's deal today! 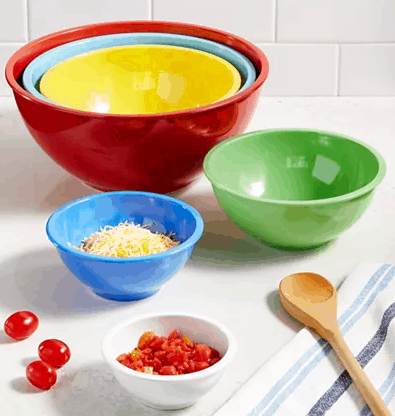 You can get this Pyrex 8-Piece Mixing Bowl Set for just $14.99! 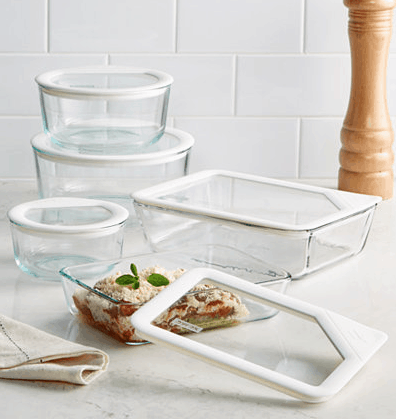 I love that this set has lids to go with the bowls ~ great for those recipes where things have to chill in the fridge or freezer! 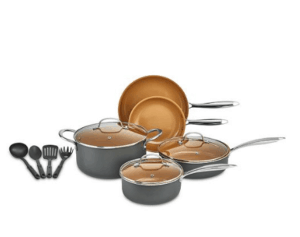 This set is regularly priced $43, so you're getting a really nice deal! 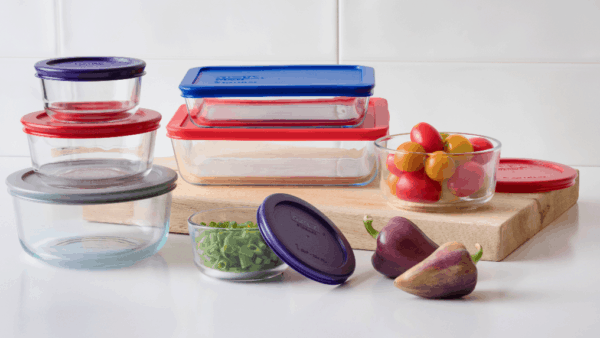 Also, Walmart has the Pyrex Simply Store 14-Piece Set for $21.61 with free in-store pickup! The Macy's deals are hopping today on Carter's Cute Baby Clothes – you can get a full outfit (pants and shirt!) for less than $8 today when you combine some of these deals! These super cute rompers like the one pictured above are just $4.99 (Regularly $16)! Choose from Rainbows, Bunnies, Ice Cream, Dinosaurs, Butterflies, Unicorns, Cats, and more! Looking for something a little less Summer and a little more late Spring? 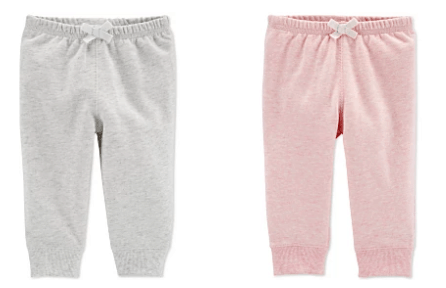 These gorgeous Carter Baby Footed Pajamas are also all only $4.99 today (also regularly $16!). And seriously, how adorably cute are these Carter's Baby bodysuits!! Can you believe they are only $3.99 today?! What an amazing price, and there are so many options to choose from. Go ahead and pair one of these bodysuits with the pants listed below, and you're going to walk away with a brand new Spring outfit for less than $8! These Carter's Baby Joggers were a LIFESAVER when the kids were little. They're perfect for play and go with just about anything, and are great to throw in the diaper bag just to have on hand! Plus, today, they're only $3.99 – so combine with a shirt from above for a fantastic deal! Macy’s now offers free shipping on orders of $99 or more, OR get free in-store pickup. Love that! Macy's has this gorgeous Kenneth Cole Reaction Men's Messenger Bag on sale for just $30 today! That's 81% off! This is regularly priced $160, so you're getting a fantastic deal! 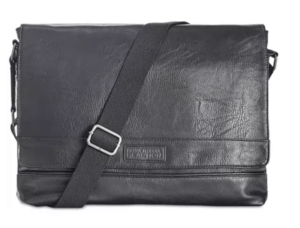 This messenger bag has great reviews and you can choose from black or brown! 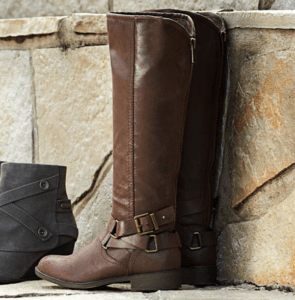 Woman’s Boots as low as $15 at Macy’s! 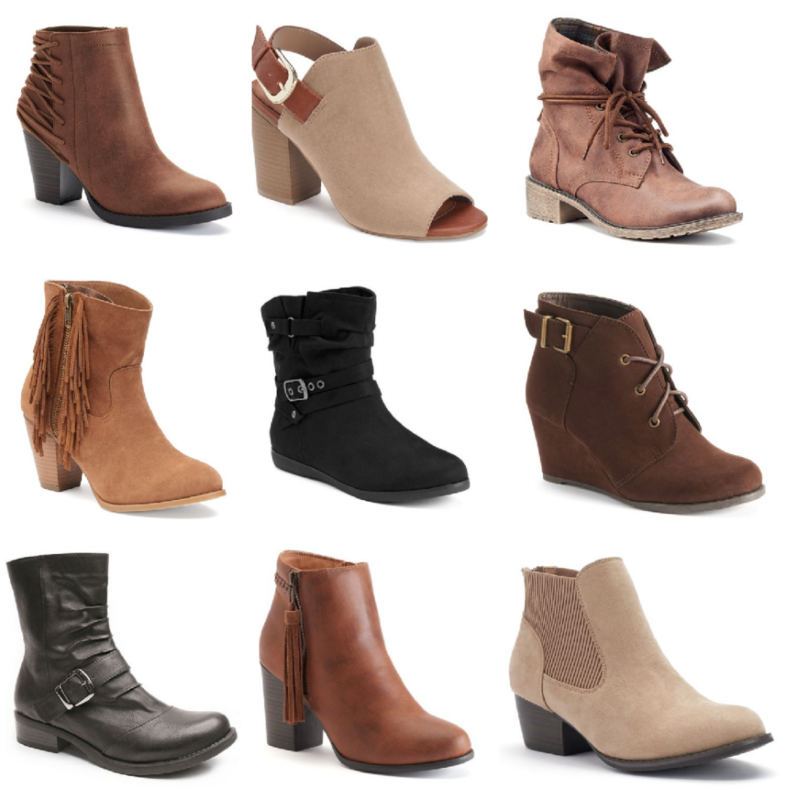 Macy’s has select Women’s Boots on sale for as low as $15! Prices are regularly $49.99 and up, so that's a nice deal! If you’re looking to get a new pair, take a peek at the options HERE. April 5, 2019 by Laurie 2 Comments This post may contain affiliate links, which means if you click on a link and purchase something, I may earn a small commission (at no additional cost to you.) See my disclosure policy HERE. 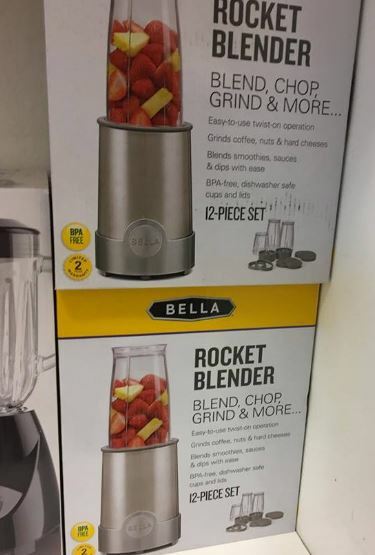 Right now at Macy’s you can get select Bella and Black & Decker Appliance items for $8.99 each after mail-in-rebates! Don’t forget Macy’s offers free shipping on orders of $99 or more, OR get free in-store pickup. Love that! 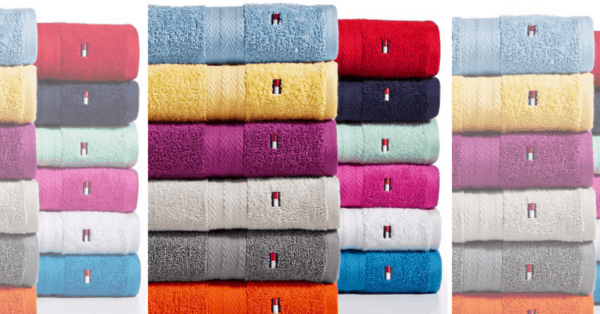 You can grab Tommy Hilfiger Bath Set Pieces for as low as $2 today at Macy's! That is an amazing price and I LOVE all the Spring colors to choose from. At this price, grab some for a nice color refresh of a guest bathroom before Easter! Macy’s now offers free shipping on orders of $75 or more, OR get free in-store pickup. Love that! 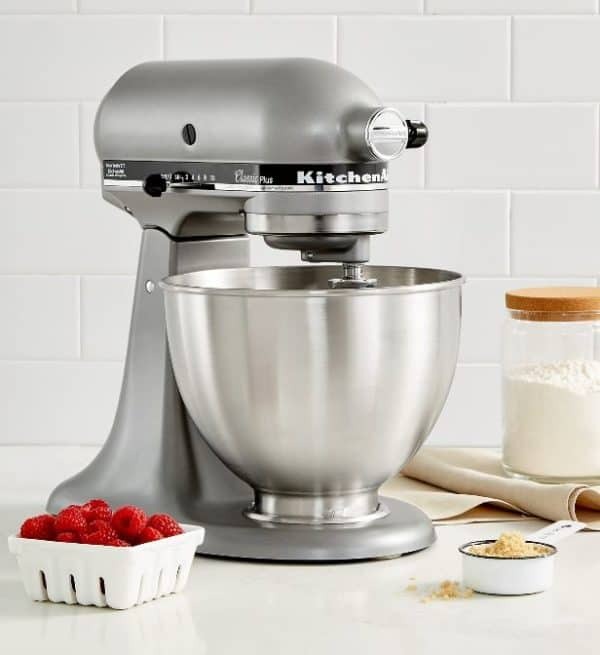 Macy’s Kitchenaid Mixer ONLY $199.99 Shipped! 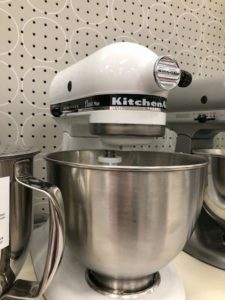 Macy's Kitchenaid Mixer only $199.99 Shipped! Macy’s now offers free shipping on orders of $75 or more, OR get free in-store pickup. 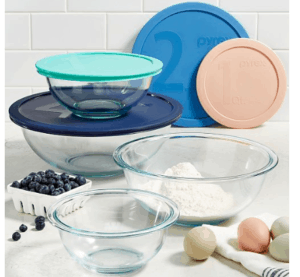 Martha Stewart Bakeware – Crazy Good Savings! 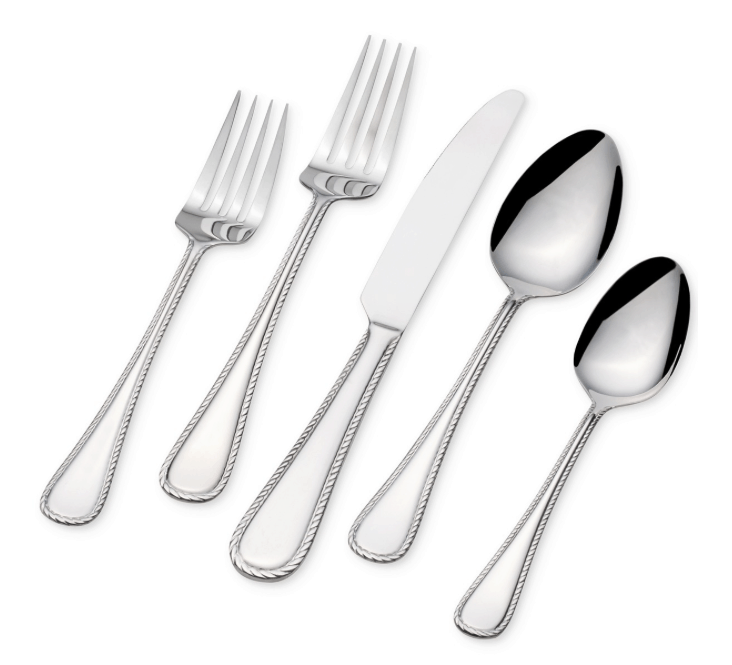 51-Piece Stainless Steel Flatware Set $27.99 Shipped! 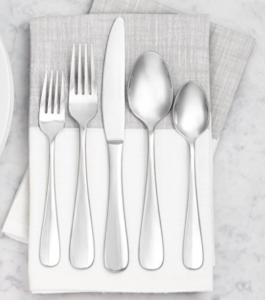 Macy's just dropped the price on several 51-Piece Stainless Steel Flatware Sets to $27.99! That's a nice savings off the original price of $80. 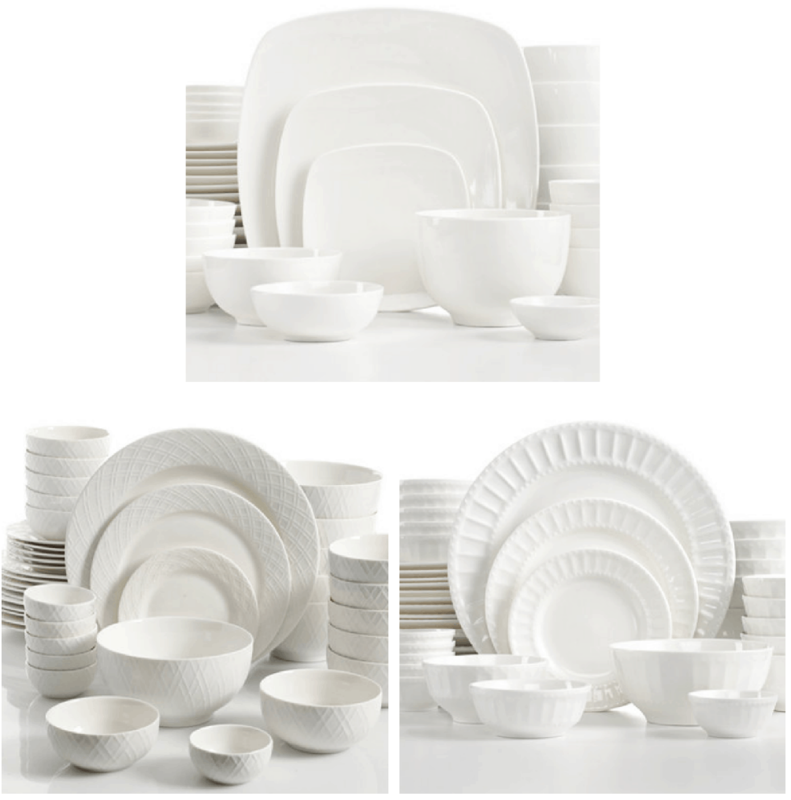 You can also get these Gibson 42-Piece Dinnerware Sets to $37.99 at checkout! That’s a nice savings off the original price of $120. Go HERE to see the options! 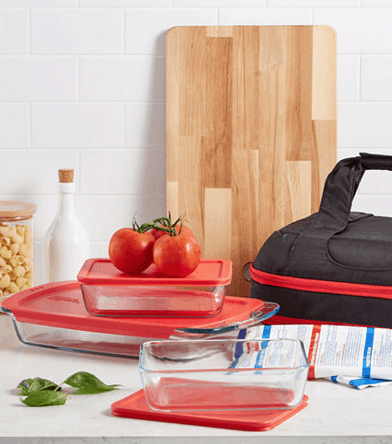 Head over to Macy's to grab this fantastic price on the Calvin Klein Sonoma Reversible Tote with Pouch for just $59.03! This gorgeous taupe/silver color is 60% off the regular price of $148! I think this color would be perfect for Spring and it looks like it has a ton of room! Macy’s right now offers free shipping on orders of $75 or more, OR get free in-store pickup. Love that! March 19, 2019 by Laurie 4 Comments This post may contain affiliate links, which means if you click on a link and purchase something, I may earn a small commission (at no additional cost to you.) See my disclosure policy HERE. 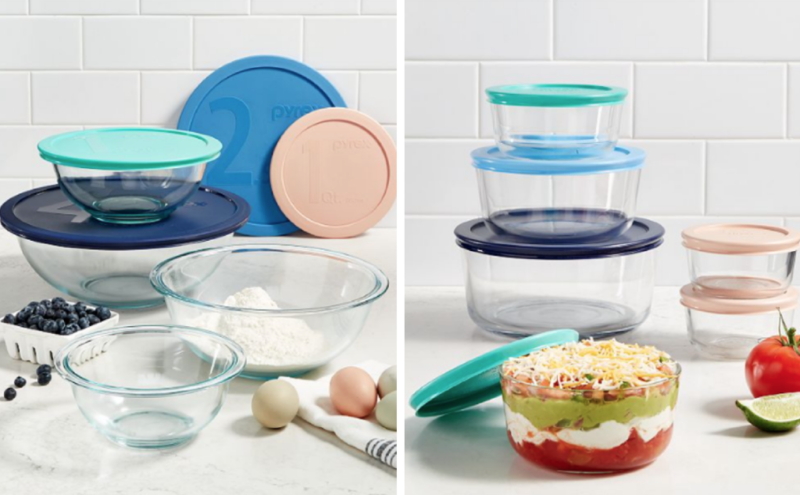 Head over to Macy's where you can grab an amazing deal tonight on the Pyrex 8-Piece Mixing Bowl Set or 12-Piece Storage Set – only $17.49 with the code VIP at checkout! These sets are regularly priced $42.99 so you are getting an absolutely amazing deal! I love these to have extras around the house or they are PERFECT for gifts! Don’t forget Macy’s offers free shipping on orders of $75+, OR free in-store pickup! 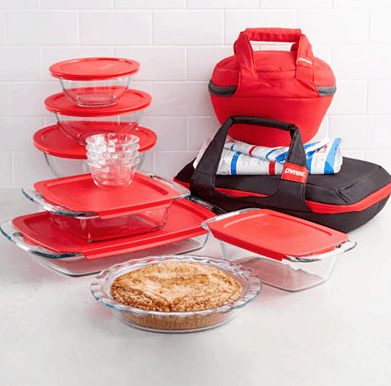 Also, Walmart has the Pyrex Simply Store 14-Piece Set for$18.88 with free in-store pickup! 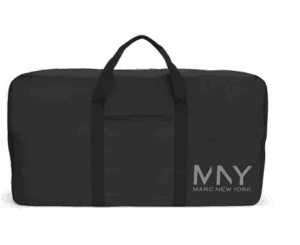 Check out this great deal tonight that Macy's has on the Marc New York Carry A Ton Duffel – just $8! This is regularly priced $40, so you're getting an amazing discount! We are always needing another bag for an overnight trip or for kids to use for their after school practices, so I'm planning on grabbing a few of these! You can choose from blue, black, or burgundy! Get free shipping with a $48 purchase OR choose to pick up in store for free! Check out all the great Macy's deals! 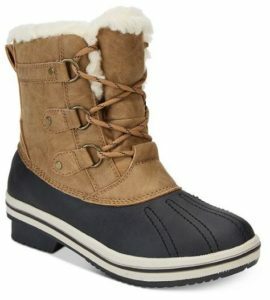 Macy’s | Up to 40% Off Women’s North Face Jackets! March 11, 2019 by Laurie 1 Comment This post may contain affiliate links, which means if you click on a link and purchase something, I may earn a small commission (at no additional cost to you.) See my disclosure policy HERE. Macy's has amazing prices tonight on Men's Dress Shirts! 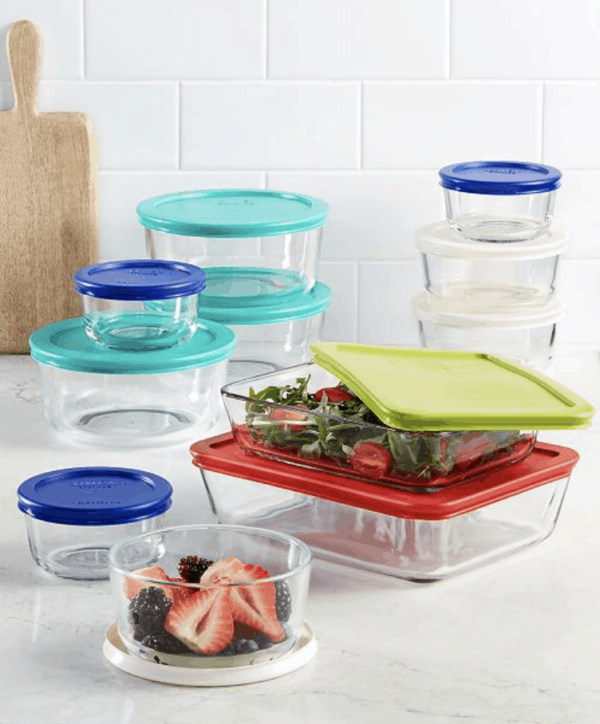 Some are priced as low as $8.96 – over an 85% savings! 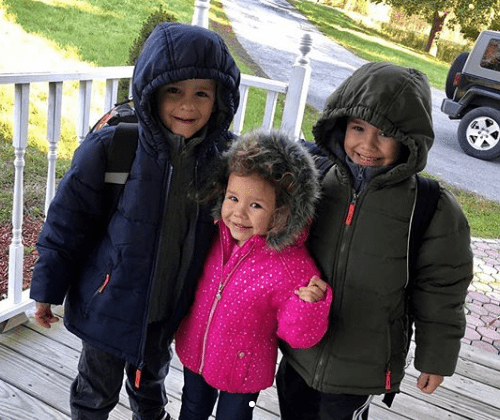 March 8, 2019 by Laurie Leave a Comment This post may contain affiliate links, which means if you click on a link and purchase something, I may earn a small commission (at no additional cost to you.) See my disclosure policy HERE. Macy's has this beautiful Michael Kors Kelsey Top-Zip Large Tote on sale tonight for just $88 AND free shipping! I love these bags, but I can't bring myself to pay full price. 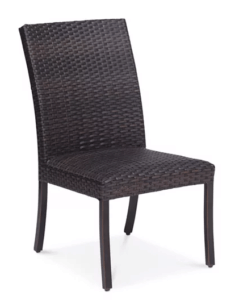 This one is regularly $148, so you're getting a 40% savings! The Macy's deals are hopping right now! 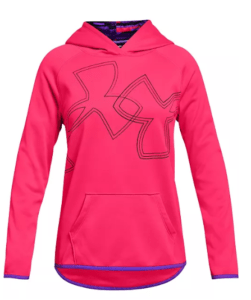 There are a TON of Under Armour deals – up to 75% off! And let's not forget the kiddos! There are some fantastic deals for youth as well! Macy's offers free shipping on $99 or more, or ship to the store for free! 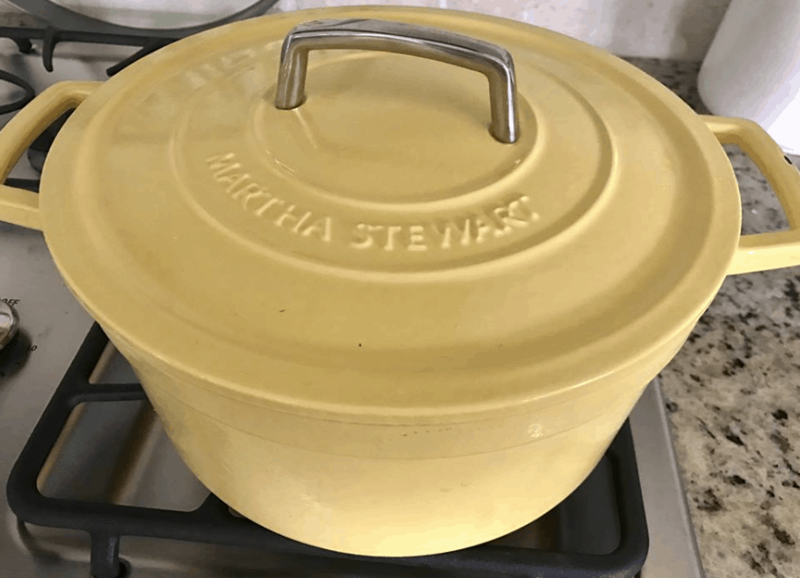 Martha Stewart Enameled Cast Iron 6-Quart Round Casserole ONLY $49.93! 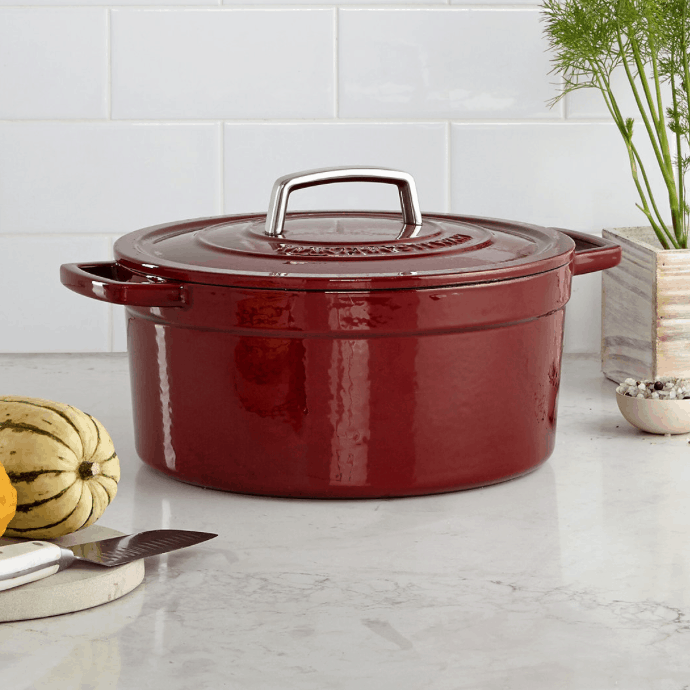 You can get the Martha Stewart Collection Enameled Cast Iron 6-Quart Round Casserole for $49.93 at Macy’s! This is marked down from the original price of $179.99. I actually have this one and love it, and this is way less than the Amazon price! 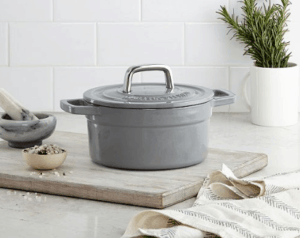 Or pick up the Martha Stewart Cast Iron 2-Quart Round Dutch Oven for just $27.93. Don’t forget Macy’s offers free shipping on orders of $99 or more, OR choose free in-store pickup if available. Love that! March 4, 2019 by Laurie 2 Comments This post may contain affiliate links, which means if you click on a link and purchase something, I may earn a small commission (at no additional cost to you.) See my disclosure policy HERE. Here’s a great deal going on right now at Macy’s! 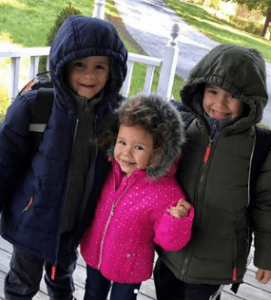 They’ve got Kids Puffer Coats for as low as $10.76! These are regularly priced up to $75, and have fantastic reviews. You can also get Carter’s Baby Coveralls for as low as $5 ~ great way to save! Don’t forget Macy’s offers free shipping on orders of $75 or more, OR free in-store pickup is also an option if available near you! Love that! The Macy's deals are hopping right now! 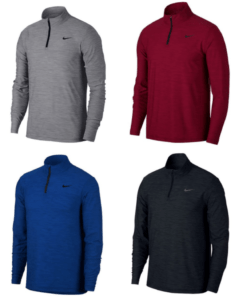 Get this Nike Men's Breathe Quarter-Zip Training Top for just $20! That's a big savings off the original price of $40. 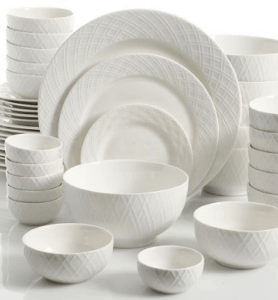 Macy’s offers free shipping on orders of $99 or more, OR get free in-store pickup ~ love that! February 26, 2019 by Laurie Leave a Comment This post may contain affiliate links, which means if you click on a link and purchase something, I may earn a small commission (at no additional cost to you.) See my disclosure policy HERE. 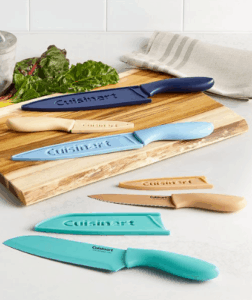 Check out this amazing deal tonight on the Cuisinart Advantage 10 Pc Ceramic Cutlery Set – just $13.93! This is regularly priced $35, so you're getting a nice savings. I love the different colors and the guards that are included! 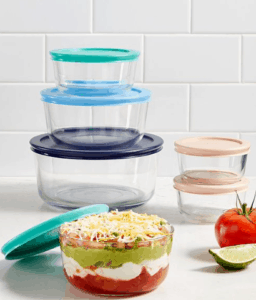 Macy’s now offers free shipping on orders of $99 or more, OR when you purchase any item in the beauty department (look for Burts Bees products priced at $3.) Love that! Check out this great price on Nike Men's Cotton No-Show Socks – just $7.93 for a 6 pack! These are usually priced at $20, so this is a very nice savings to have! Grab a few to supplement your teens Easter basket while they're marked down! Macy’s now offers free shipping on orders of $99 or more OR pick up in store for free! 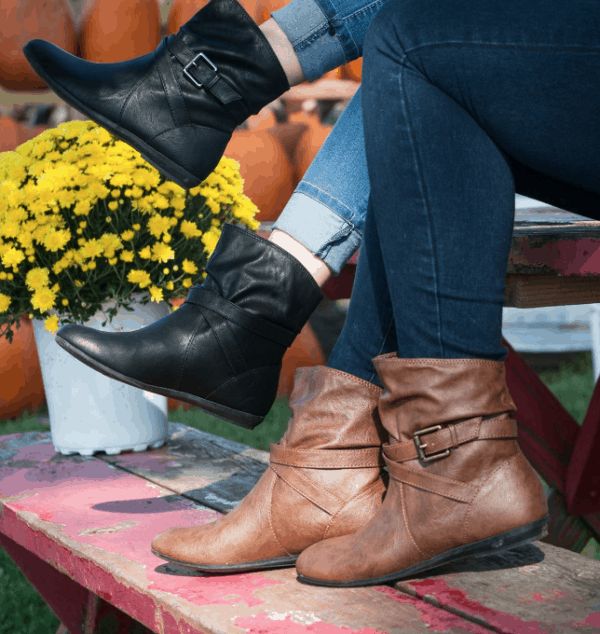 The Macy's deals are hopping today – check out these amazing prices on women's shoes! February 23, 2019 by Laurie Leave a Comment This post may contain affiliate links, which means if you click on a link and purchase something, I may earn a small commission (at no additional cost to you.) See my disclosure policy HERE. 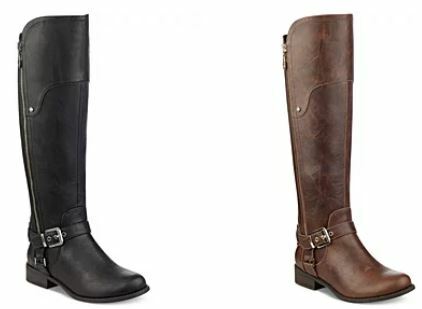 Macy’s has select Women’s Boots on FLASH sale for up to 75% OFF – but it ends at Midnight! Use code HURRY at checkout to drop the price – here are some of our favorite deals! 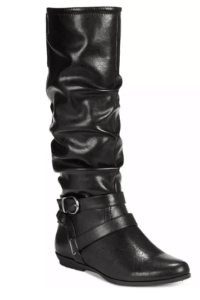 *In Wide Calf or Regular Calf sizes! These get great reviews. Don’t forget Macy’s offers free shipping on orders of $25 or more, OR when you purchase any item in the beauty department (look for Burts Bees products priced at $3.) Love that! February 21, 2019 by Laurie Leave a Comment This post may contain affiliate links, which means if you click on a link and purchase something, I may earn a small commission (at no additional cost to you.) See my disclosure policy HERE. Macy's has some amazing deals on Columbia jackets tonight! 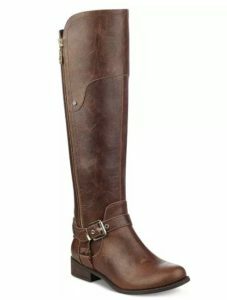 These are priced as much as 60% off so this is a fantastic time to buy! I love Columbia brand and haven't ever been disappointed in the quality. Right now you get free shipping on orders $99 or more, or you can pick up in store. Check out these deals! 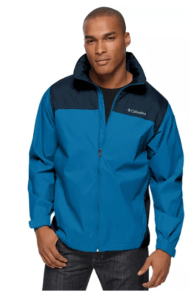 This gorgeous Columbia Men's Glennaker Lake Rain Jacket is just $39.99 today – regularly $60! Multiple color combinations and sizes to choose from! I think this Columbia Men's Eager Air 3-in-1 Omni Shield Jacket might be my favorite. This is just $88 – down from $220! I love that it is water repellent and has a removable fleece liner! 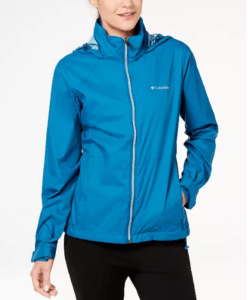 This Columbia Switchback Waterproof Packable Rain Jacket is a steal at just $23.99! You're getting a 60% off savings! 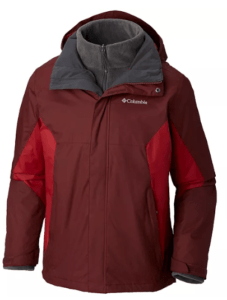 I absolutely LOVE the purple and violet colors of this Columbia Mountainside Colorblocked Insulated Hooded Jacket – and the fact that you can grab it for just $48 (down from $120) is amazing! It's also water resistant, lined, and insulated! February 20, 2019 by Laurie Leave a Comment This post may contain affiliate links, which means if you click on a link and purchase something, I may earn a small commission (at no additional cost to you.) See my disclosure policy HERE. Check out this great deal on these Nike Little Boys 2 pk Cushioned Dri-Fit Quarter Socks – just $4.80 for the set! My kiddos are always misplacing their sport socks, so it can never hurt to have more on hand! These are usually priced $12, so you're getting quite a good amount of savings! February 19, 2019 by Laurie Leave a Comment This post may contain affiliate links, which means if you click on a link and purchase something, I may earn a small commission (at no additional cost to you.) See my disclosure policy HERE. 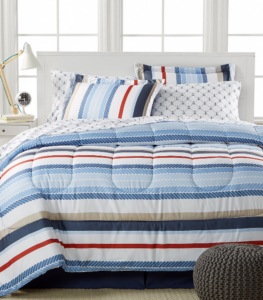 Check out this amazing price tonight on the Calvin Klein Abigail Quilt Collection – you can get a Queen size for just $19.96! These are regularly priced $165, so go NOW if you're interested in one of these. I love this look! Macy’s now offers free shipping on orders of $99 or more. I'm loving this Crux 12-Pc. 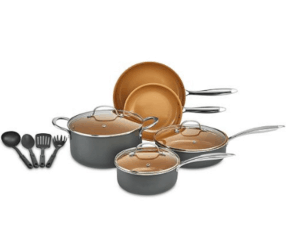 Copper Titanium Cookware set deal tonight – just $59.93 down from $139.99! I've been eyeing these copper cookware sets, my husband LOVES the cast iron pots, but I'm not totally convinced yet. 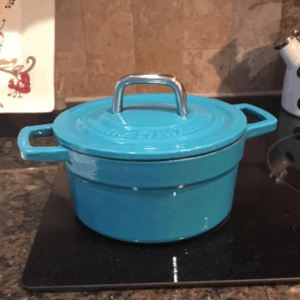 From the reviews, these pots and pans also offer long lasting durability and non-stick surfacing! Macy’s now offers free shipping on orders of $49 or more. It's quite possible that I am the pickiest person when it comes to pillows – so I'm thrilled to see these Tommy Hilfiger Home Corded Down Alternative Pillows on sale for just $5.99! These are regularly $20 each, so you're getting an amazing savings. Plus they're extremely comfy and durable! Macy’s now offers free shipping on orders of $49 or more, OR get free in-store pickup. Love that! Don’t forget Macy’s offers free shipping on orders of $49 or more, OR get free in-store pickup. Love that! We have recently made the switch from non-stick to cast iron and the different sizes and colors have become a bit of a collection item for us – so I am LOVING this deal today! 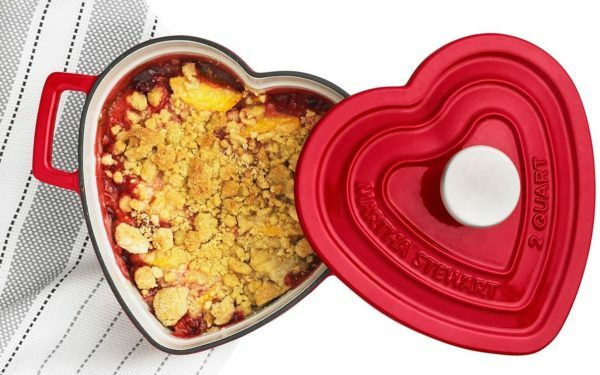 You can pick up the Martha Stewart Cast Iron 2-Quart Round Dutch Oven for just $27.99 with code LOVE today! This is regularly priced $99.99, so you are getting an amazing deal! Plus they have 4 colors to choose from! 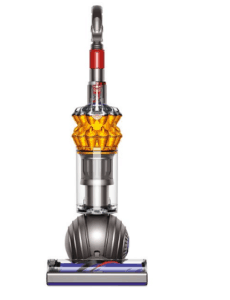 Macy’s | Dyson Upright Vacuum 50% off! Macy’s has the Dyson Small Ball Multifloor Upright Vacuum for 50% off today! You can grab this highly rated vacuum for just $249.99! You get FREE shipping or you can also pick up in store for free! The Macy's deals are hopping right now! Get this Nike Men's Breathe Quarter-Zip Training Top for just $20! That's a big savings off the original price of $40. Macy’s offers free shipping on orders of $49 or more, OR get free in-store pickup ~ love that! If you order 3 or more, you'll get free shipping!